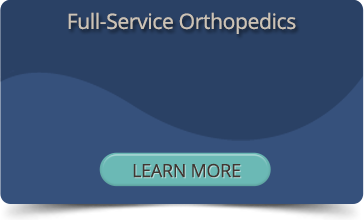 In addition to general orthopedic services, Virginia Orthopaedic and Spine Center (VOC) specializes in more complex orthopedic surgeries using state-of-the-art technology to help fix whatever is causing your pain. We also offer in-house physical and occupational therapy, which we often recommend to our patients as a post-surgery recovery technique to help them heal faster. Total Joint Replacement. Total joint replacement, or arthroplasty, involves removing the damaged portion of the joint and replacing it with an artificial joint, allowing for pain-free movement. VOC doctors use advanced computer-assisted navigation for knee and hip replacements, and they also perform traditional and reverse shoulder replacement surgery. Spine Services. Our orthopedic physicians provide a variety of techniques to help view, diagnose, and treat back and neck problems, including minimally invasive procedures and non-surgical epidural steroid injections. Sports Injuries. When you’re hurt during sports or exercise, we treat common sports injuries such as knee meniscus and ligament tears (ACL, MCL, PCL), rotator cuff tears, shoulder dislocations, and more. Physical and Occupational Therapy. Our highly skilled physical therapists help you recover from an injury or surgery with hands-on rehabilitation techniques, while our certified hand therapist / occupational therapist helps patients regain function in the hand and wrist following surgery or injury. When you’re seeking orthopedic specialty services in Culpeper, Virginia, contact our compassionate and committed doctors and physical therapists at Virginia Orthopaedic and Spine Center. Make an appointment today by calling (540) 825-5362 now or request an appointment online at your convenience. We offer next-day appointments!